Flooding can cause severe damage to your home and possessions and if you are not carrying flood insurance, the cost to repair or rebuild your home and replace all of your possessions will fall to you. A standard homeowners insurance policy excludes flood damage, making flood insurance a must-have coverage to fully protect your home. In most cases, your mortgage lender will require that you carry flood insurance if your home is located in a high-risk (or even medium risk) area. Flood insurance can be complicated and comes with a variety of exclusions. While the majority of flood insurance is written with the backing of the National Flood Insurance Program (NFIP), coverage is also available through private insurers. You may increase the limits available under an NFIP policy by buying a private market policy sometimes called “excess flood insurance.” You may also avoid buying NFIP flood insurance through the purchase of a privately backed policy that replaces an NFIP policy and which may offer broader coverage at a price that is more closely correlated to your actual risk of flooding, sometimes called private primary flood insurance. We compiled some of the most common questions that arise when it comes to flood insurance and talked to a variety of experts in the industry to get all of the information you need when making choices on this crucial coverage for your home. The cost of flood insurance can vary dramatically depending on where your home is located and whether you use a NFIP policy or private insurance. According to the Federal Emergency Management (FEMA) website, the average cost of a flood policy is currently $700 a year but costs can easily skyrocket up to $2,000 or higher depending on your home's elevation and designated flood zone. One thing to keep in mind is that the government subsidizes NFIP rates. Unfortunately, the NFIP is currently billions of dollars in debt due to major losses in recent years. Congress has taken steps to bring the cost of NFIP policies more in line with the actual risk presented by the property so there is a good chance NFIP rates will be headed up in the future. It is also important to remember that NFIP policies also come with some pretty heavy restrictions. Coverage limits of $250,000 mean that many homeowners will have to supplement their NFIP policy with private flood insurance in order to be fully covered. Private flood insurance prices can also vary widely and for high-risk properties the premium is often a shock. As an example, to insure a house in Miami Beach which is in the highest risk “V” zone, with a policy for $300,000 in building coverage combined with $100,000 in personal property and a $2,000 deductible the annual cost is $18,026 according to privatemarketflood.com. If you move the same house to a low risk “A” zone that premium drops down to $3,714. This clearly illustrates how dramatically location can impact your premium. “The price range based on actual exposure to flooding in rough terms could be seen as being approximately $.05 per hundred dollars in value for risks that are located in extremely low hazard areas up to risks that would not be accepted at any price by a logical insurer, such as risks which are experiencing flooding virtually every year. Risks, which are located in more highly exposed areas will usually see rates between $.30 per hundred and $.90 per hundred depending on how severe the exposure is,” says Poulton. When it comes to flood insurance, location is the number one consideration. If you live in a flood prone area, or a region prone to hurricanes, you should absolutely consider flood insurance. "Most homeowners policies do not include coverage for damage due to flooding caused by storms, the overflow of rivers and other bodies of water, or other natural disasters," warns Ann E. Myhr, Senior Director of Knowledge Resources at The Institutes. This makes flood insurance a must have to fully protect your home. "Purchasing flood insurance should always be considered as part of an overall insurance program. Those living in areas of high flooding hazard that carry a mortgage on their property would be required by their lender to purchase and maintain flood insurance. Otherwise, the decision to carry flood insurance is optional, but important to consider," says Myhr. Has your property ever flooded? Are you located in a 100-year flood plain? Can you afford flood insurance? Can you afford to not have it? 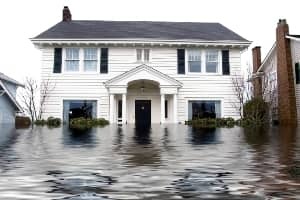 While flood insurance can be sort of pricey, especially if your home is waterfront, it can be a financial lifesaver if your home is severely damaged or destroyed by flooding. Where do I buy flood insurance? When it comes to flood insurance there are only two choices and one comes with pretty significant limitations. The National Flood Insurance Program (NFIP) is the main player in flood insurance. "Flood insurance is backed by the federal government through the Federal Emergency Management Agency (FEMA). FEMA does not write flood insurance directly, policies must be written through a licensed insurance agent. These policies are guaranteed by the government as they pay for the losses if something were to happen," advises Goldsberry. The FEMA website is a good source of information on flood insurance requirements. This site includes an interactive map that indicates areas that are more prone to flooding than other areas and consumers can enter their address to assess their individual exposure to flooding. In order to be eligible for NFIP coverage, the property must be located in a participating community. This information is also available on the website. There are limitations to NFIP policies. The NFIP provides building coverage for dwellings up to $250,000 and contents coverage up to $100,000. NFIP policies include a 30-day waiting period for newly issued policies. Private flood insurance is another option and in many cases offers more robust coverage options. Private flood insurance enables property owners to supplement or replace the NFIP product, providing coverage that homeowners expect from their homeowners policies for exposures such as outdoor property, detached structures, swimming pools and basements. What coverage levels do you need? Flood insurance, like all homeowner insurance, protects your home up to the coverage levels you choose. The main issue with NFIP policies is that the top coverage level is only $250,000 so if your home will cost more than $250,000 to rebuild, you will be paying the difference out of your own pocket. Private flood insurance policies offer much higher limits. "Private flood insurance policies can often write coverage up to $2 million with personal property coverage of $1 million," says Roger Desjadon with Florida Peninsula Insurance. "Compared to the NFIP, private market insurers are able to offer higher limits of coverage in excess of $250,000 as well as broader coverage for other structures on your property," says Thomas L. Santamorena, an insurance agent in San Francisco. The bottom line is that if your home is worth more than $250,000 you will need to consider the private flood insurance market for coverage. Will flood insurance cover personal property in your basement? Surprisingly, in most cases, flood insurance does not cover damage to your basement or any personal property that is stored in the basement. "The NFIP Dwelling Form excludes coverage for items located below the lowest elevated floor or in a basement. There are some exceptions for heating or cooling equipment permanently installed and connected to a power source," says Myhr. "The purpose of this exclusion is to mitigate costs by encouraging homeowners to avoid storing property in areas of the home that are most likely to suffer flood damage," she says. It's not just basements that are excluded. "Swimming pools including related equipment, such as pumps or filters as well as outdoor hot tubs and spas that are not considered bathroom fixtures are also not covered," says Myhr. Does flood insurance cover additional living expenses? Additional living expenses coverage helps pay for costs that are related to moving out of your home if it is destroyed or too damaged to live in during the repairs. It covers costs such as hotel bills, restaurants, laundry and even dry cleaning until you can move back into your home. Unfortunately, flood insurance from the NFIP doesn't cover additional living expenses. "The NFIP coverage form does not provide for additional living expense coverage for personal risks and in the case of commercial risks, it does not provide for business interruption coverage," says Poulton. However, private flood insurance often does cover additional living expenses. "Private primary flood insurance offered under the Natural Catastrophe Insurance Program does allow for the purchase of both additional living expense coverage and business interruption coverage," says Poulton. What are personal property coverage limits? Personal property coverage will help replace your personal belongings that are damaged or destroyed due to flooding. While all homeowner policies have coverage limits when it comes to personal property, it is usually a percentage of your homes total coverage amount. Flood insurance that is purchased through the NFIP caps all personal property at $100,000. While this may seem like a generous amount, if your home is completely destroyed and you had to replace all of your worldly possessions $100,000 may not go that far. In addition to coverage caps, NFIP policies insure personal property at actual cash value (ACV), which takes depreciation into account when determining the value of your property. This means that your 10-year TV will be worth almost nothing in the eyes of your policy. Flood insurance in the private market often has much higher limits. "As an example, policies with Florida Peninsula offer personal property coverage up to $1 million," says Desjadon. In addition to higher personal property limits, private flood insurance also offers replacement value coverage, which will replace your property with similar quality products, regardless of cost or depreciation. New loans: According to the NFIP website, "If the initial purchase of flood insurance is in connection with the making, increasing, extending, or renewing of a loan, there is no waiting period. Coverage becomes effective at the time of the loan, provided application and payment of premium is made at or prior to loan closing." Revised flood maps: The NFIP site says, "If the initial purchase of flood insurance is made during the 13-month period following the effective date of a revised flood map for a community, there is a 1-day waiting period." "The best preparation for flood damage is education - know your zone and the risk associated with it, have a plan in place to minimize your damage and consult with a licensed insurance professional that will help you with your decision. In many circumstances, the cost of flood insurance is relatively low and absolutely worth peace of mind," advises Scott Congiusti, Assistant Vice President and Personal Insurance Claims Director at HUB International Northeast. "Tenants in apartment buildings and condominium owners are not covered for flood damage to any personal property under their landlords' or condominium association insurance. It is important to consider purchasing separate coverage for such property under a flood insurance policy, particularly if the property is in a high-hazard location, such as coastal areas or lakefront property," says Myhr. "Insurance policies do not cover all of the possible financial impacts resulting from a flood or other loss, such as a fire or windstorm. Consumers should have a contingency fund in place to pay for deductibles and other costs related to an unanticipated event," says Myhr. The most important misconception with flood insurance is that purchasing a policy means "everything is covered". A standard flood insurance policy was developed with the intention of restoring a home to 'livable' conditions - a warm, dry place that is safe to live. It will help with the most important elements of the loss, but it is not as comprehensive as a homeowners insurance policy," says Congiusti.